Full Trailer for Madea’s Witness Protection. 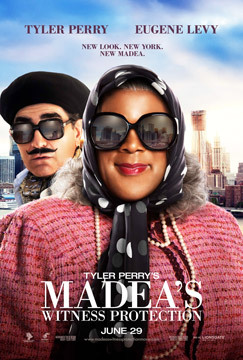 Tyler Perry, Eugene Levy, Denise Richards and Doris Roberts star in the upcoming comedy. 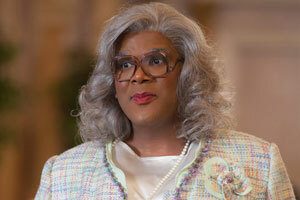 See the movie trailer, photos and poster for Tyler Perry’s Madea’s Witness Protection below. The story centers on a high level CFO (Levy) who, after his investment company goes belly up due to embezzling, is put in witness protection with his family, which is forced to move from a wealthy Connecticut neighborhood to Madea’s home in the South. MPAA Rating: (PG-13) for some crude sexual remarks and brief drug references. For years, George Needleman, the gentle CFO of a Wall Street investment bank, has been living with his head in the clouds. His frustrated second wife, Kate, has reached her limit taking care of his senile mother, Barbara. His teenage daughter, Cindy, is spoiled beyond hope and his seven-year-old son, Howie, wishes his father were around more. But George is finally forced to wake up when he learns that his firm, Lockwise Industries, has been operating a mob-backed Ponzi scheme — and that he’s been set up as the fall guy. 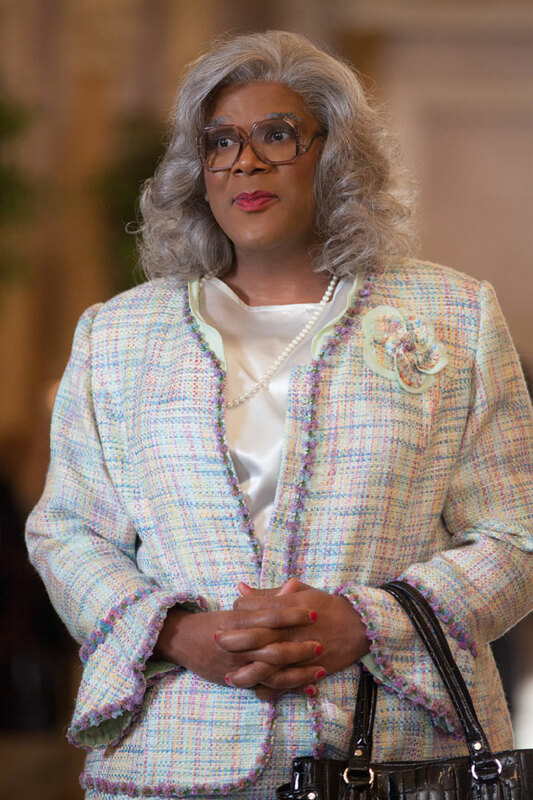 Facing criminal charges and death threats from the mob, George and his entire family are put under witness protection in the safest place that Brian, a federal prosecutor from Atlanta, can think of… His Aunt Madea’s house down South.